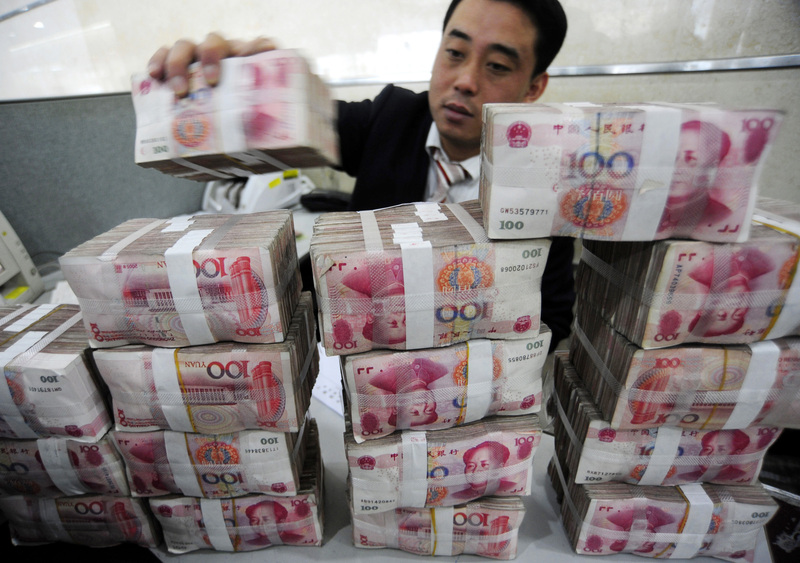 China’s surprise interest rate cut looks like a response to financial rather than economic ills. Thursday evening’s reduction in the lending rate by 31 basis points and the deposit rate by 25 points won’t alone do much to change the economic picture even if data due next week show activity is markedly slowing down. What it will do is buy banks and lenders some time, and postpone the more imminent danger of a rise in bad loans. Lower rates can stimulate more borrowing, but they probably won’t in this case. Despite a cut in rates just a month ago, lending in China seems to have slowed dramatically in June. Some banks can’t lend because their deposit funding is too scarce; others can’t find clients who want to borrow. Many state-owned borrowers in sectors like steel and aluminium face overcapacity already. Bank loan approvals are easier to get than they have been for two years, a Nomura analysis shows, while loan demand is at its lowest since 2008. In a country growing as fast as China, price shouldn’t be a motivating factor for most borrowers. Returns on capital in from 1993 to 2005 were 20 percent, according to a study for the National Bureau of Economic Research*. Even assuming that has moderated quite a bit, it makes little odds for many private companies whether the base rate for borrowing is 6 percent or 6.31 percent. It’s overstretched borrowers that will feel the difference. With the real estate sector in deep-freeze, many developers will be struggling to service their borrowings. For them, a 31 basis point cut, which banks are theoretically able to turn into an 85 basis point lower rate, might make the difference between getting by and going bust. It may also coax some who have sought short-term funds from non-bank lenders – be they domestic Chinese private equity funds, trust companies or more shady sources – to go back to the banks. That helps the banks too. While the bad debts they report are still only around 1 percent of all loans, current valuations suggest investors suspect the real figure is as much as 6 percent, according to Bernstein Research. Cutting rates doesn’t make bad borrowers good, but it does delay the day of reckoning. That reduces the chance that a financial crisis brings on an economic one. China’s central bank cut interest rates after the close of markets on July 5, just a month after its previous rate reduction. The benchmark one-year lending rate was cut by 31 basis points to 6 percent, and the one-year deposit rate by 25 basis points to 3 percent. Banks would be able to offer loans at as low as 70 percent of the benchmark rate, the People’s Bank of China said in a statement, compared with 80 percent previously. Deposit rates can go up to 10 percent above the benchmark. China’s main Shanghai benchmark share index was down 0.5 percent by midday on July 7, having closed down 1.2 percent the previous day. A Reuters poll showed economists expect China to report 7.6 percent GDP growth in the second quarter. China was due to report consumer and producer prices for June on July 9, with export and import data on July 10. Bank lending figures would be published during the week, with GDP, industrial output and retail sales expected on July 13.